September 17, 2012 - the 225th birthday of the Constitution! On Monday, September 17 — the 225th birthday of the Constitution — the American Village convened a National Summit on Keeping the Republic to kick off a year of conversation around the country with citizens and leaders addressing the questions: Just how well are “we the people” doing in “keeping” the Republic? And what should we be doing to better serve our Nation as citizens and leaders? The Constitution we celebrate unites us to “form a more perfect Union” and to “secure the blessings of liberty” for ourselves and our posterity. The truth is: liberty is hard work, and it’s our work right now. Mary Bomar, former Director of the U. S. National Park Service and American Village National Advisor; and American biographer Richard Brookhiser were also featured speakers. When the Constitutional Convention ended 225 years ago Benjamin Franklin wisely said that ours is ‘…a Republic, if you can keep it.’ George Washington called our system of liberty and self-government an ‘experiment in the hands of the American people.’ Each generation has faced the challenge to keep the Republic and to make the experiment work. For three decades a number of serious and credible alarms have sounded: America is facing a growing national amnesia. As an example, the latest National Assessment of Educational Progress (2010) shows that 55% of America’s high school seniors do not have even a ‘basic’ knowledge of American history. Our choice whether to address this challenge or to ignore it will have extraordinary consequences for our country. The duty that calls us, in this hour, on our watch, is to reclaim American memory and identity and answer Franklin’s challenge to be keepers of the Republic. The American Village has released a 56-page report summarizing the challenge to keep the Republic and making recommendations on how to strengthen teaching American history and civics to young people. 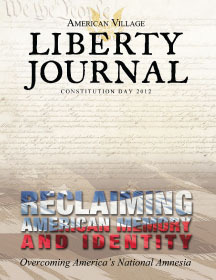 Download a PDF copy of the American Village Liberty Journal (5.4 MB). 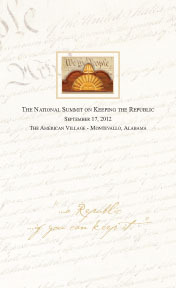 Download a copy of the National Summit on Keeping the Republic program. Videos of the National Summit on Keeping the Republic are available here. 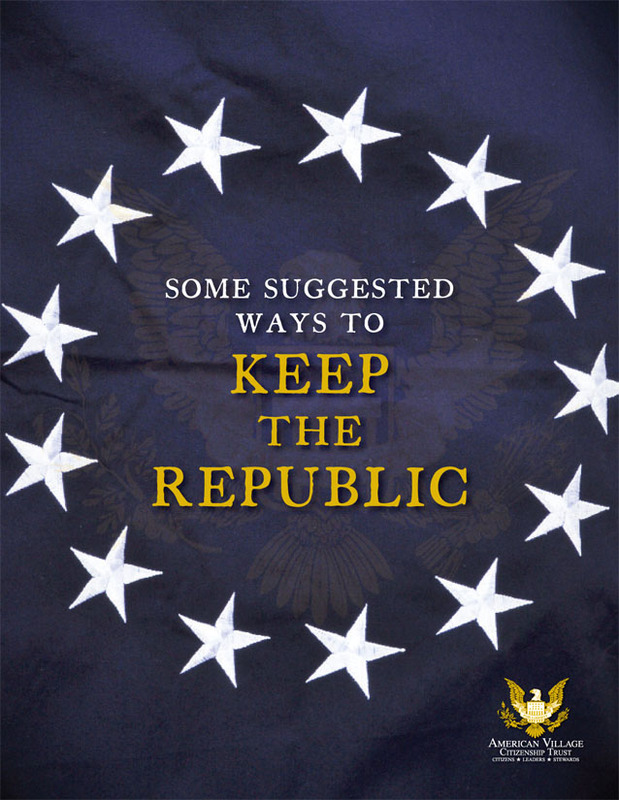 Dowload a copy of Some Suggested Ways to Keep the Republic. Take the Pledge to Keep the Republic.